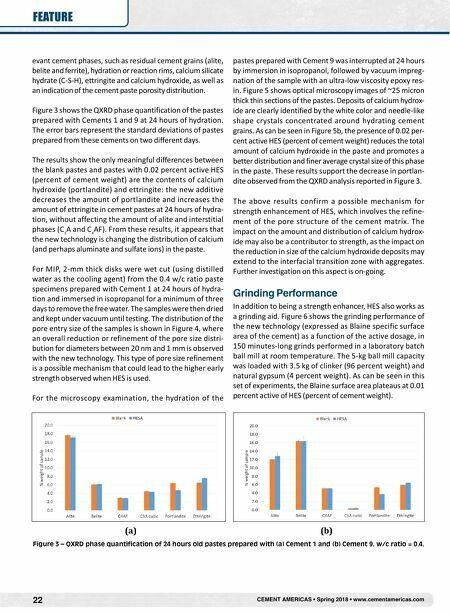 www.cementamericas.com • Spring 2018 • CEMENT AMERICAS 23 FEATURE Figure 4 – MIP curves of 24 hours-old pastes prepared with Cement 1 (w/c = 0.4). Active content of HES is 0.02 percent on cement weight. 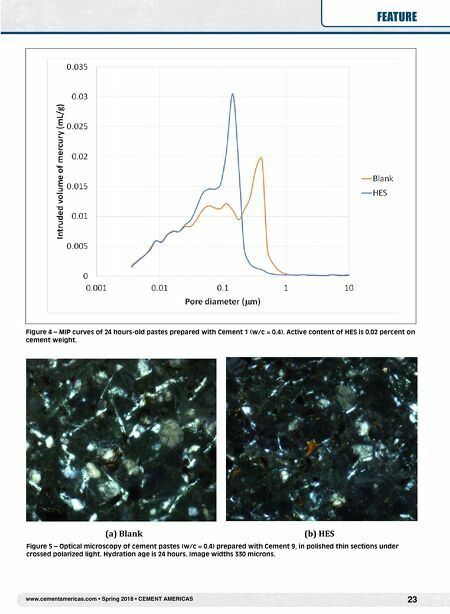 (a) Blank (b) HES Figure 5 – Optical microscopy of cement pastes (w/c = 0.4) prepared with Cement 9, in polished thin sections under crossed polarized light. Hydration age is 24 hours. Image widths 330 microns.